Happy Wednesday friends! If you need a mid-week pick me up, I’m popping in to share the BEST sales out there this week. When I find deals this good, I don’t want to wait ’til the weekend to share! So these are my top picks from the best sales today. Speaking of the weekend, don’t forget to sign up for the HWH Weekend Edition – the first meal plan for the HWH Fitness Challenge will be sent via email this Saturday morning! A solid military jacket is a must in the Fall. This one is an absolute steal at 75% off! 40% off everything means these mustard jeans are $20! Adore the pink and caramel ones too! Did someone say Kendra Scott sale?! These pretty mixed metal bangles and my go-to dainty cuff bracelet are both under $40. This reversible tee has 3/4 length sleeves and can be worn as a v-neck or a boatneck (my top 2 favorite necklines). Plus, it comes in stripes AND is 50% off! All accessories and tops are on sale right now. An often overlooked accessory is a good pair of no show socks for your low profile booties. How cute are these <$7 socks?! A transitional Fall bootie for only $20?! Yes, please!! Big Labor Day sale on beds, rugs and accent furniture. These marble lamps are 37% off and look so similar to the ones in my bedroom! Use code SEEYA to get this adorable ruffled tank top & this sweet pajama top for only $15! These vases are perfect for any season! And all of the sizes are on sale right now- I have three in my house! I saved the best for last! Get 20% off site-wide on ALL Colleen Rothschild products! If you don’t know where to start, I recommend the Discovery Collection – you’ll get 7 of the best sellers to try. I also use the Radiant Cleansing Balm, Extreme Recovery Cream and Face Oil No. 9 daily! Check out my Morning & Evening Beauty routines for more details. 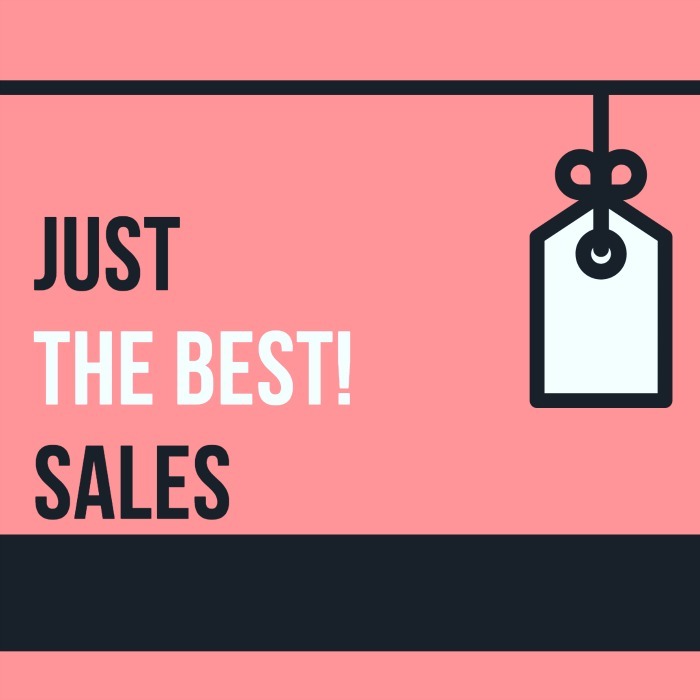 Let me know if you liked this short & sweet post featuring the best sales today! I just want to show you some love <3 My hubby and I have a blog, so I know how much work goes on, behind the curtains. I appreciate all you put into these posts, to make shopping easier for all of us. Thank You!! How fun to have a blog with your husband! A shared goal is so good! Woo hoo! I’m so ready for the weekend!! Thanks so much for letting me know! Have a great day Erica! Thanks for sharing it. We just bought a new house and I needed beds and new rugs. Thanks a lot. I love the short and sweet!! I like all of your posts, but it’s nice to have the short and sweet because I don’t always have time to read the long ones! I get it! 😉 Thanks so much for stopping by! Love this post, I’m all about short and sweet so this post was just that! Thanks for your wonderful blog and instastories, I really enjoy them! Thanks so much Kelli! I’ll have to incorporate this kind of post more often! Is there a way I can get the Meal plan still. I signed up for the newsletter but the confirmation email went to my spam folder and i didn’t catch it until Saturday afternoon. Love your blog!! Hi Stephanie, Yes, of course! Email me at honeywerehomeblog@gmail.com and I’ll forward it to you! Is there a way I could still get the meal plan? I signed up for the newsletter, but the confirmation email ended up in my spam and I didn’t catch it time. Love your blog! Thanks. Hi Stephanie! Yes, of course! Email me at honeywerehomeblog@gmail.com and I’ll forward it to you!